The all-star season starts in May with team selections. We generally accept athletes onto these teams until mid-September pending space and team needs. Prep begins with team selections in May and then practices starting in September. New registrations generally accepted until the end of September pending space. Recreational cheer runs in three sessions: fall (Sept-Dec), winter (Jan-Mar), and spring (May-June). Fall registration starts in June, winter registration starts in October, and registration for spring classes starts in March. 2019-2020 Prep and All-Star Team Selections are now open! Our 2019-2020 Handbook will be available in mid to late March. Please check out our current season’s Program Handbook to get an idea of what you can expect. Our recreational cheer teams are a great way to learn the basics of cheerleading in a 2 month program. 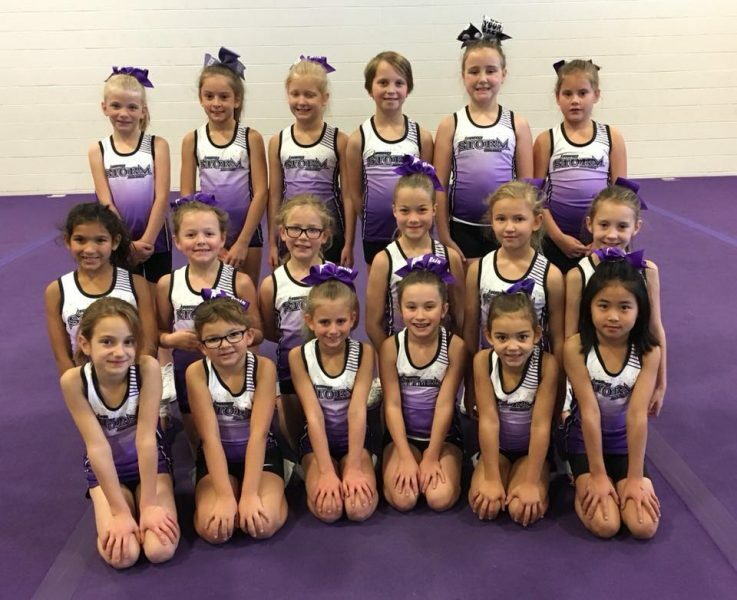 Kids learn the basics of cheer including motions, jumps, tumbling, and stunting and put them all together into a basic routine that they perform at the end of the session. A Perfect Storm t-shirt is included with the registration fee. Special abilities team – Sundays 3-4pm. Ages 6+. Must be toilet trained and able to follow simple instructions in a group setting. Registration is closed for this team. If you are interested in trying cheerleading before committing to a program, this is the class for you! 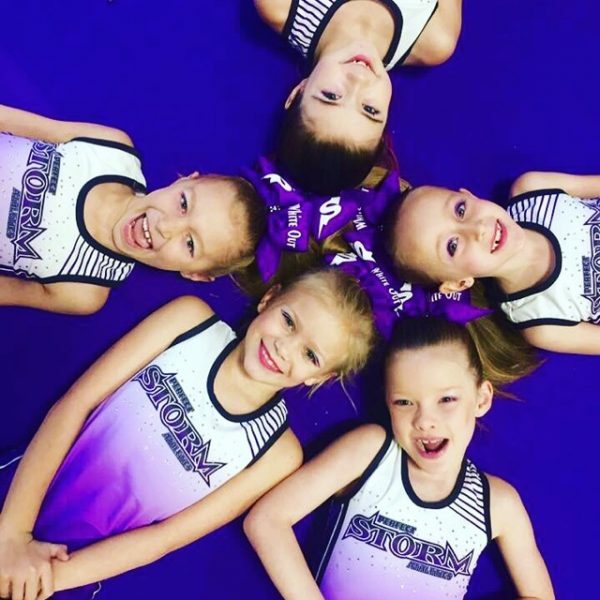 Our Check Out Cheer program introduces kids to the basics of cheerleading including motions, jumps, tumbling, and stunting. The class runs for one hour for just a $10 fee. And the best part is, if you register for a cheer program after taking Check out Cheer, we will credit your registration fee making your Check out Cheer class absolutely free! Click here to register for a program now! For more information on all of our cheer programs, please click here.